Does the total amount of money I spend on CGTrader matter? Yes, a lot. The more you spend on CGTrader, the higher percentage of your every order comes back to you as CGTrader Credits. The total amount you spend on CGTrader accumulates and you get back more and more credits from every purchase. 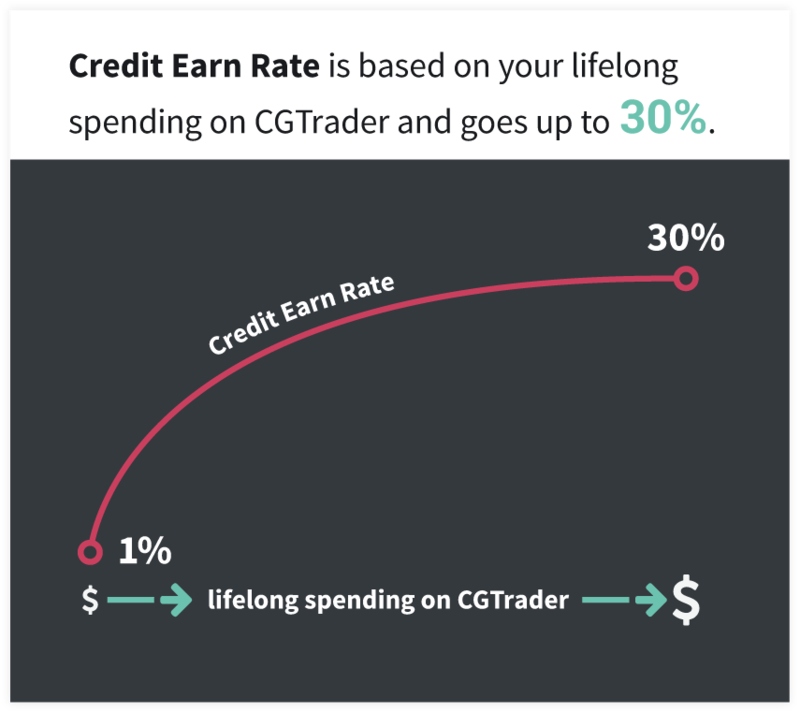 Credit Earn Rate is based on your lifetime spending on CGTrader and goes up to 30%. You can always follow your progress towards next loyalty level in My Purchases page.